The consolidations developing in the market remained in play by the close of today's business. Volume climbed in confirmed accumulation, which is a potential sign for an upside breakout from these consolidations. But with bearish lead-in trends, any upside breakouts will quickly run into supply issues from Christmas consolidations. 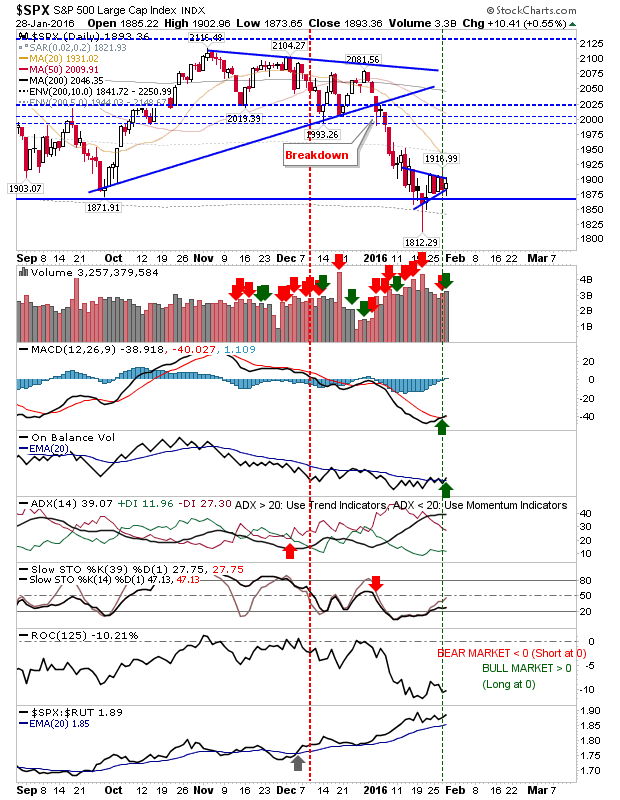 The S&P is shaping a pennant just above support from September/October swing lows. There is a weak 'buy' in the MACD and On-Balance-Volume. 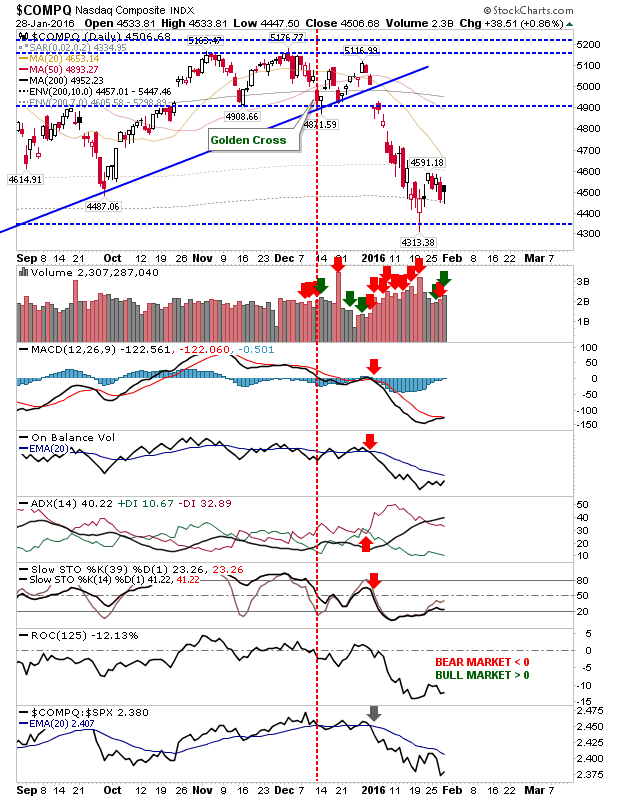 The Nasdaq is holding 4,500 with a potentially bullish harami cross. If today's accumulation does mark a shift towards bulls, then the Nasdaq is well placed to benefit on Friday. The Russell 2000 is probably the best placed for bears to take advantage. 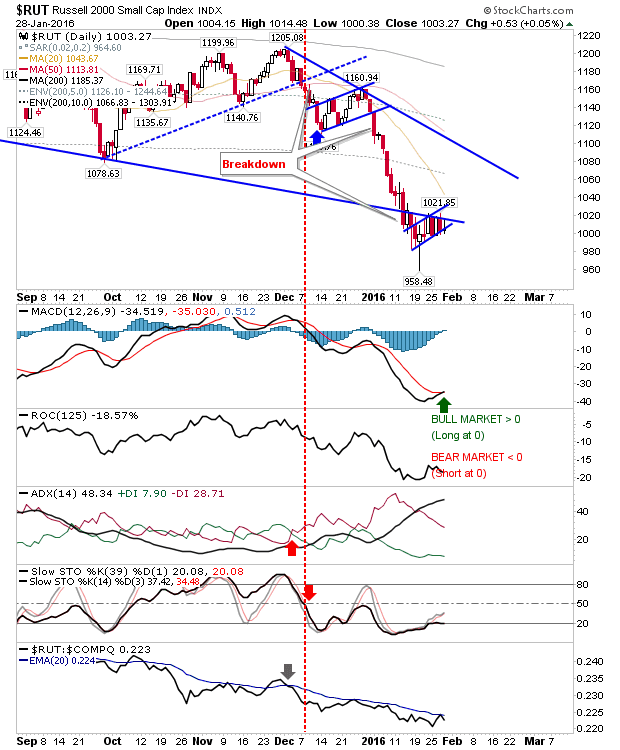 The 'bear flag' remains below support and today's close left it near lows. 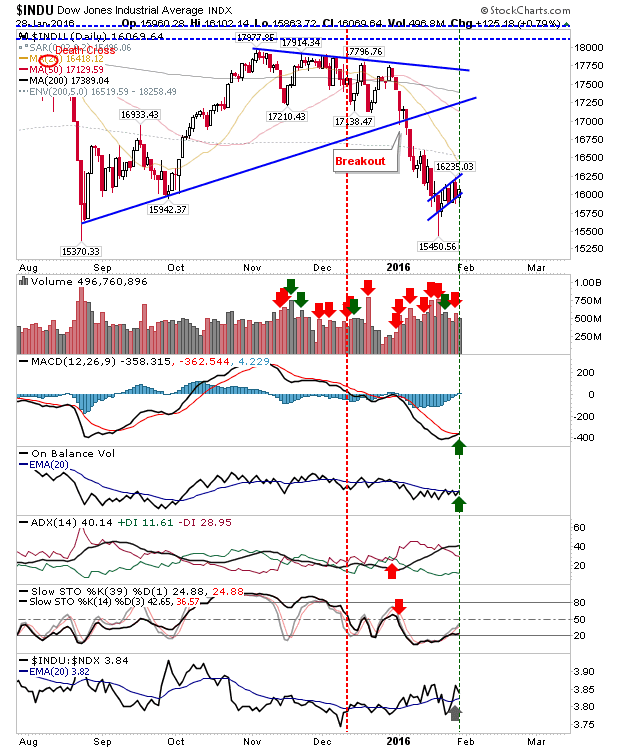 The Dow is another index holding to a 'bear flag'. I had tried two short positions here on intraday swing highs, but were stopped out. May be best to wait for a decisive break of 16,000 before going short side, as the target is a measured move down to low 14K. There is plenty of opportunity for profit either way. For tomorrow. Bulls can look to the Nasdaq/Nasdaq 100. Bears should watch the Russell 2000 and Large Cap indices for opportunities.